It's what you make it. October is almost here and that means it almost time for us parents to run around town with our kids trying to hold onto our sanity. While I’m long past my costume wearing prime, I refuse to follow the rules. My son loves that I dress up with him and it’s just a lot of fun. This is a quick tutorial video on how I do one of my favorite Halloween looks, plus it’s really easy and quick and best of all you can be 100% creative with it. The colors, styles and designs are all up to you and mistakes are encouraged! 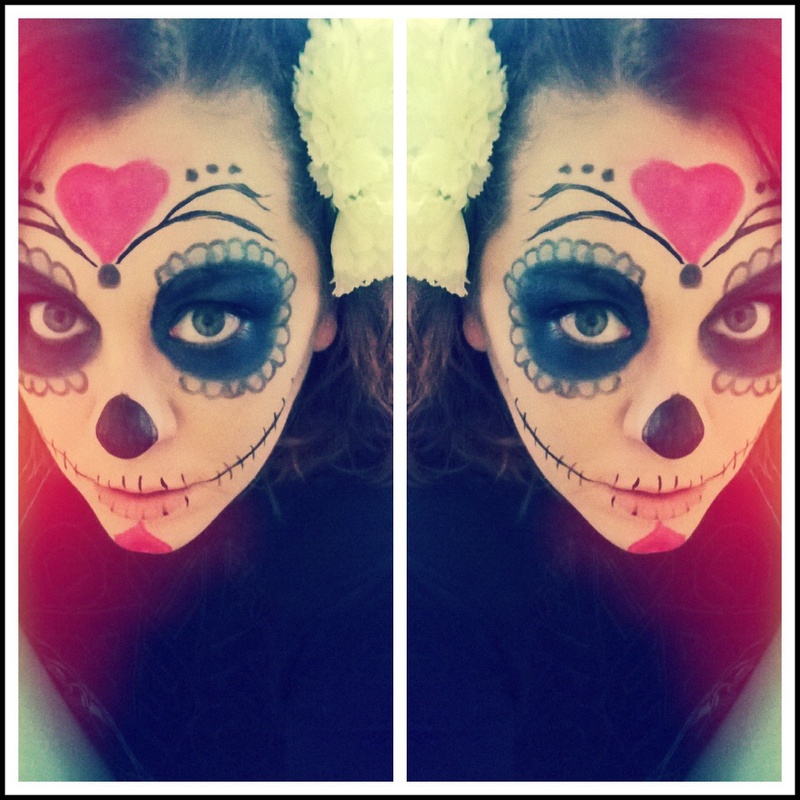 So check out of I pull off my Day of the Dead Sugar Skull look. If you try this out take a picture and tag me on Instagram @mkateholmes I would love to check it out! Have you subscribed to my blog and youtube channel yet? What are you waiting for? With my giveaway coming up make sure to subscribe so you don’t miss out on all the goodies! Lots of Love…and trick or treat?